Thermal Shakers are designed for applications that require consistent and precise highspeed shaking with temp. control to 100°C. 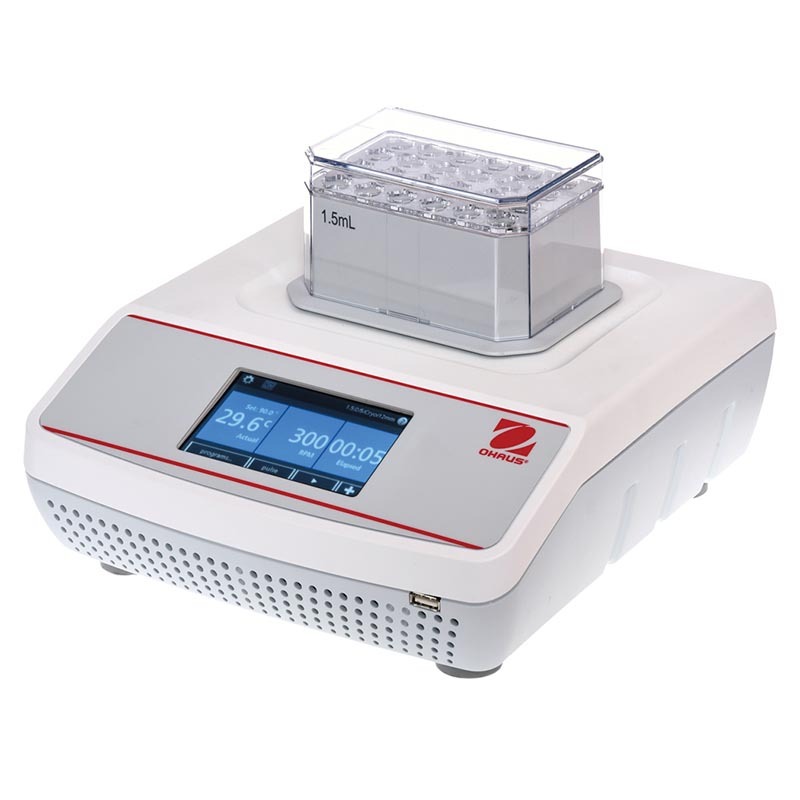 With heating & shaking capabilities, our shakers use interchangeable blocks to accommodate tubes & microplates. Intuitive LCD touchscreen allows the user to save & track progress of 5 user-defined programs, each with 5 individual steps. Enhanced electronics provide dependable temp. settings across the operating range. Low Profile Design: The low profile design minimizes the unit’s footprint on the bench. 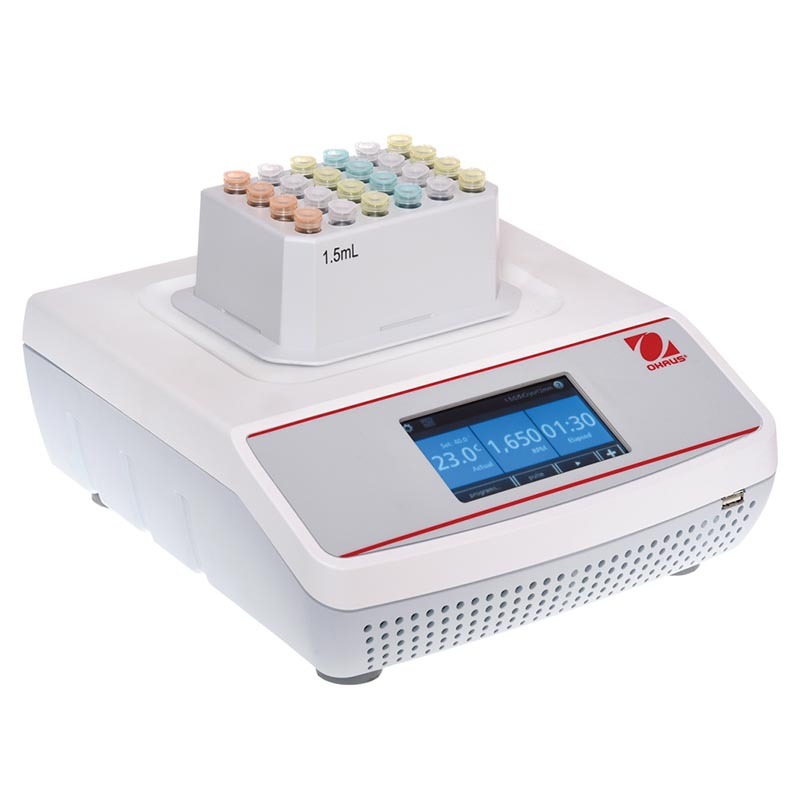 Maximum Temperature Limiting Function: Ensures the temperature will not exceed preset limits, allowing the user control of temperature sensitive samples. Hot Top Indicator: A hot top warning light will illuminate when the temperature reaches 40°C, and will remain lit until the unit is sufficiently cooled. Audible Alarm: In timed mode, an alarm will sound when the time reaches zero or set-point temperature is reached. Additionally, the heat function will automatically shut off if the unit recognizes an internal issue. Operating Conditions: Unit can operate in conditions from 5 to 35°C, maximum 80% relative humidity, non-condensing. 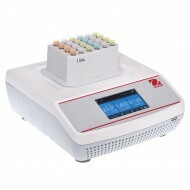 Applications: Cell cultures, DNA, RNA, and protein studies..